Not long ago, surgery was the only solution to evade sagging skin, wrinkles, fine lines, uneven skin tone and cellulite. However, these days, scalpel-free options are present and keep expanding offering many unexpected benefits. Since the advancement in technology and use of light technologies, Botox, and fillers for aesthetic treatments which appeared in the nineties, there has been an explosion in non-invasive treatment options giving people a wider range of effective solutions to tackle their skin problems without undergoing the knife. There are certain issues where surgery is the only option, but let’s discover what you can do without taking that step. Invasive procedures mean going under the knife – where a patient is put under anaesthesia for a surgical procedure. This includes cutting of the skin, removal of tissue and so on, as you would find in a traditional facelift and liposuction. There will always be downtime after the procedure. On the other hand, non-invasive procedures don’t require anaesthesia and there is minimal downtime. Non-invasive treatments include therapies such as lasers, and skin needling, as well as injectables such as Botox, fillers and threads. When you are looking for non-invasive skin treatments, it’s better to choose a reputable skin-care clinic. This is because they will consider your individual needs, desired outcome and budget as well as recommend treatments accordingly. Here are some of the non-invasive skin treatment options you can choose. IPL photorejuvenation is a laser treatment done on IPL machine and is used to help reduce the appearance of some of the most common skin problems which includes sun spots, age spots, brown blotches on face, neck and hands, reduce redness, rosacea, dilated blood vessels, helps control flushing and improves skin texture by stimulating collagen production. 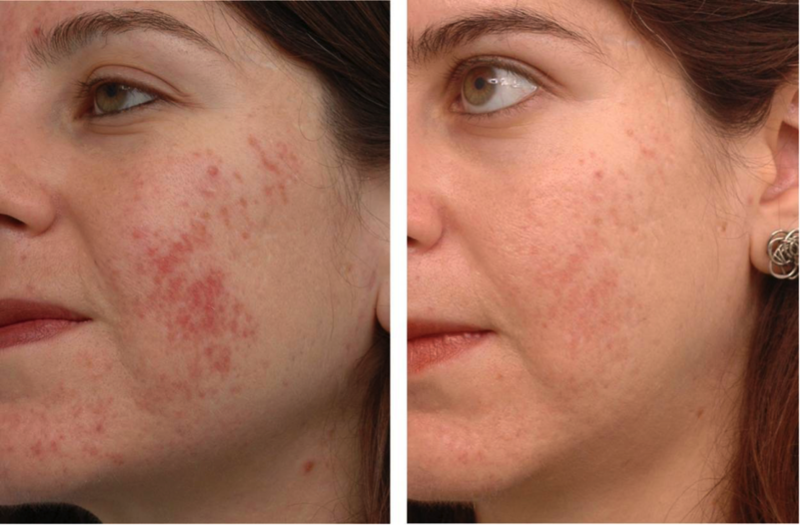 The IPL device emits a range of light waves that can be tuned and targeted at haemoglobin or melanin depending on the skin conditions. The light beam passes through the skin and is absorbed by the melanin or haemoglobin reducing the skin issues. 3-5 treatment sessions are needed about 2-3 weeks apart to get the desired results. There is no downtime and the treatment usually takes 30 to 90 minutes to complete depending on the size of the treatment area. Microdermabrasion is another non-invasive skin treatment used to renew overall skin tone and texture. It helps improve the appearance of wrinkles, fine lines, sun damaged skin, acne scarring, melasma and other skin related conditions. The treatment is done using a special applicator with tiny crystals being sprayed onto the skin to gently remove the outer layer and a vacuum to remove the dead skin cells, thus rejuvenating the skin. It is a safe procedure for all skin types and colours. The treatment takes about one hour to complete and is performed by a licensed skin care professional. The results are almost noticeable immediately after the procedure and 2-3 treatment sessions are needed depending on the severity of skin concerns and your expectations. Plasma skin regeneration (PSR) is a non-laser treatment done using plasma treatment machine which emits thermal energy to rejuvenate the skin. The thermal energy is uniformly absorbed by the skin stimulating the production of collagen and elastin. The new healthy tissues replace the wrinkled and damaged tissues. This non-invasive skin treatment addresses imperfections such as facial wrinkles, poor skin texture, acne scars, large pore size and hyperpigmentation. Full facial regeneration treatment can be done in just about 30 minutes. With these skin treatments, the future for non-invasive procedures looks bright and research and development continually provide for more advanced technologies and machines like the Plexr Plus plasma pen, hydrodermabrasion devices and SHR (Super Hair Removal) machines.